Solid hardwood honey dipper for your kitchen or table. Available with or without bead. moo.review, an independent review website, recently tested and reviewed honey dippers - and rated Fletchers' Mill number 1. “I am happy to say that the number-one wooden Honey Dipper is made right here in Maine, USA from New England hardwoods. The large head and deep groves picked up a large amount of honey without trapping air bubbles underneath. The honey drizzle was constant and the thin yet sturdy handle made twirling the honey dipper very simple. 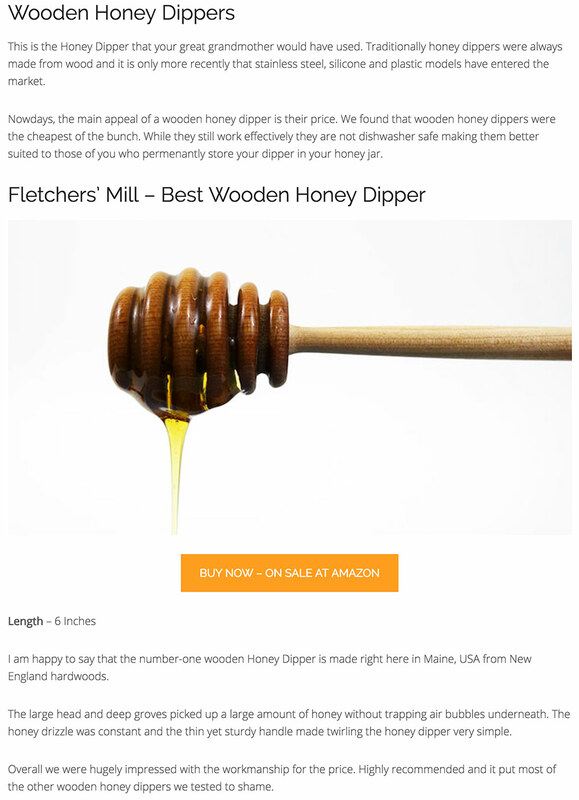 Read the full review here, and shop for Fletchers’ Mill award-winning Honey Dipper here!